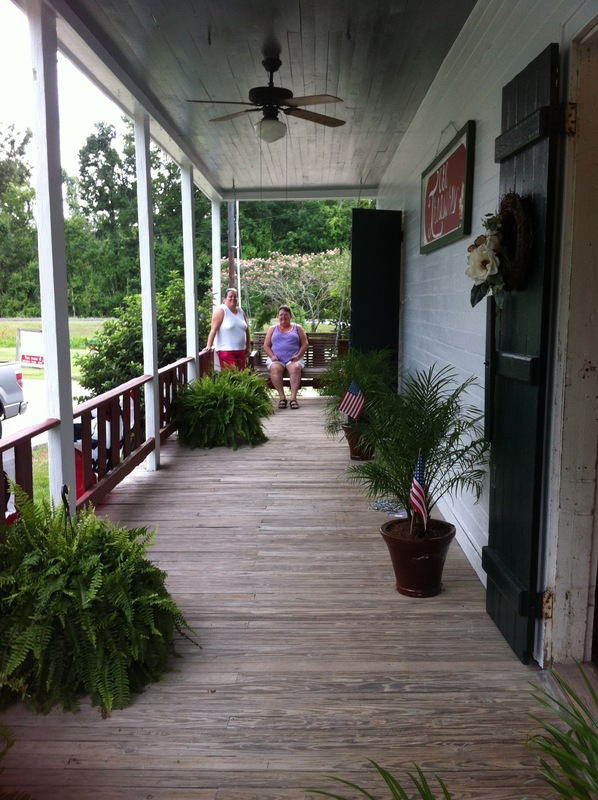 If you’ve followed this blog over the past year, I’m sure you have seen me write about the historical, vernacular architecture on display in both The Cajun Village and The Cabin Restaurant. Al Robert and his family have saved over 50 buildings in the last 40+ years. 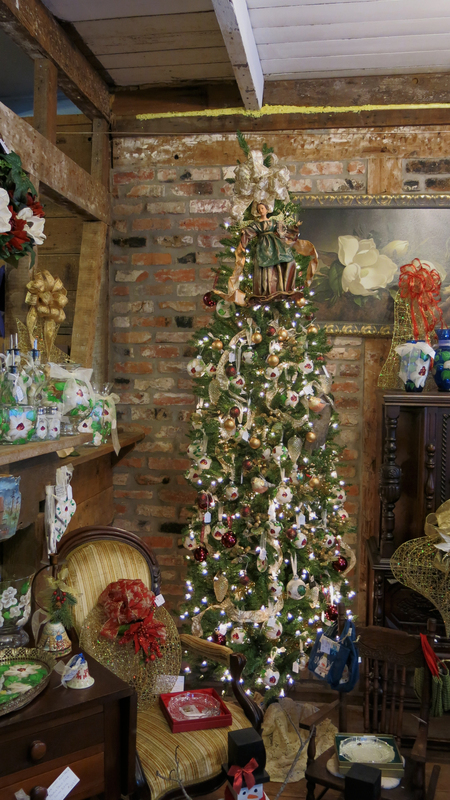 Most of them originated on the great River Road, in and around Convent, Louisiana. One such building is the Cantrell House, built in 1820, which now resides in The Cajun Village and is home to C & C Treasures. 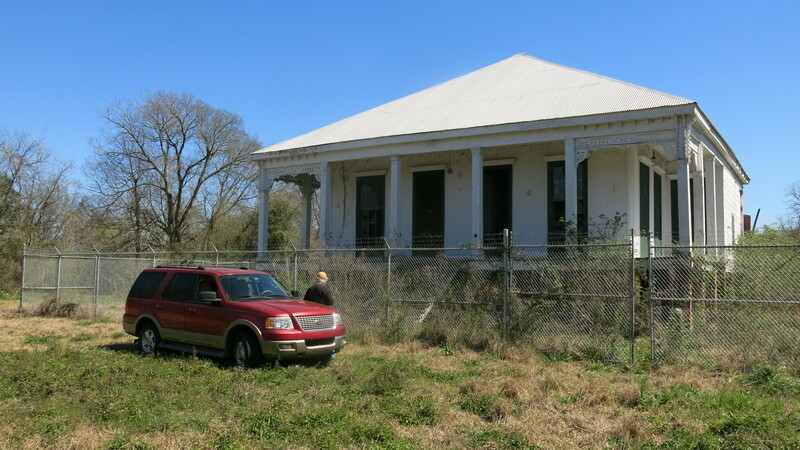 The Cantrell House is unique among the other preserved and restored buildings around it, in that it was built using the old French Creole construction method of briquette entre poteaux, or “brick between post.” This method, and architectural style, flourished in New France, i.e. the Mississippi Valley, from first arrival of the French in early 18th century into the late 19th century (although it was mainly found in the vernacular architecture after 1830s, once the Greek Revival and Italianate styles took hold amongst the wealthy). “Creole cottages can be defined by the features they shared. Heavy braced timber frames and Norman truss roof systems formed the structure, with bricks or a confection of mud and Spanish moss called bousillage filling the space between the timbers. Houses were raised several feet off the ground on piers or blocks. 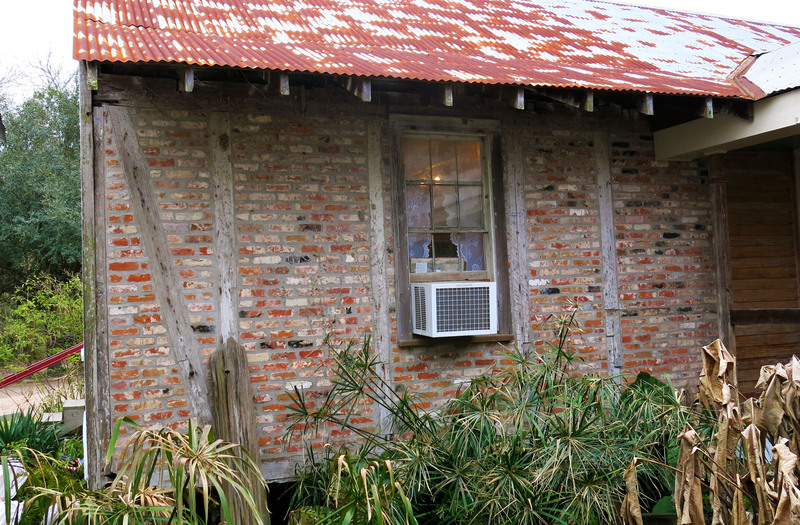 The earliest Creole houses had broken pitch roofs. Later, straightly pitched gable or hipped roofs were preferred in both urban and rural areas. Despite the large attic space available beneath the high rooflines, the Creoles almost never utilized the attic for daily living. Most Creole houses had generous galleries set beneath their broad, spreading rooflines. Depending upon the weather, the gallery might serve as a sitting or dining room, with curtains hung from iron rods between the columns to provide shade. Thus, the Creoles decorated their galleries as outdoor rooms with chair rails, wainscoting, and cornices. Multiple French doors opened from the gallery into the rooms. 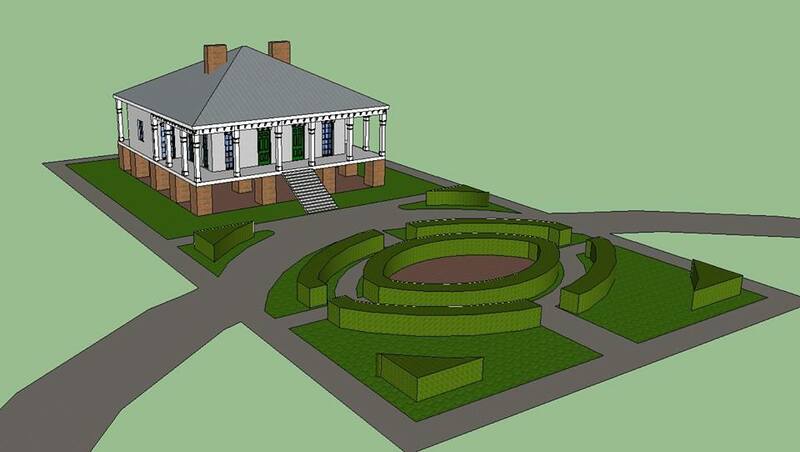 “The floor plans of Creole houses varied greatly in size. The plan always consisted of at least one range of rooms typically paralleled by a front gallery. This range included a nearly square salle (parlor), with at least one narrow chambre (bedroom) located next to it… The houses usually lacked hallways; instead, the rooms opened directly into each other. You’ll notice in the pictures that the Cantrell House displays many of the French Creole tradition: multiple French doors that open from the gallery into the main room, a range of rooms paralleling the gallery, hipped roof, wrap-around fireplace mantels, and briquette entre poteaux walls, although the interior walls have been removed to create more of an open floor plan. The briquette entre poteaux plan was sturdy, put together with local materials (cypress beams and bricks or bousillage), and a surprising good way to insulate a building, especially if a layer of plaster or stucco was applied on either side of the wall. Yet another fantastic example of vernacular Creole architecture, preserved and restored into a tribute to our wonderful architectural heritage in south Louisiana!